All eyes are on Alexandria Ocasio-Cortez right now, who made history yesterday when she defeated veteran Congressman Joseph Crowley, who held the New York Congressional seat for almost two decades. 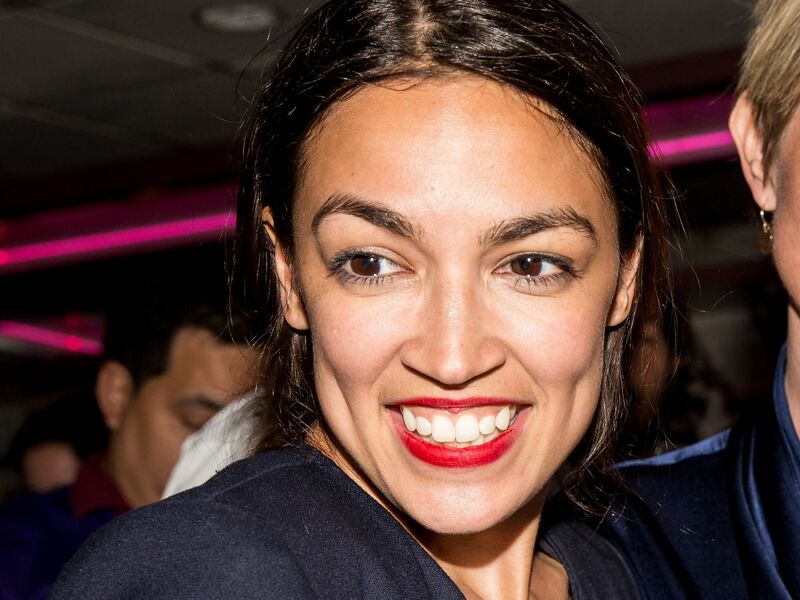 At just 28, the Democratic socialist will become the youngest woman ever elected to Congress if she goes on to win the general. But it’s not just her age or her working class background that makes the unconventional congressional candidate stand out — it’s her entire mentality about the role, including something that seems as simple as makeup. The vibrant red she wears regularly is more than just a color. It’s what the color truly stands for, and what it could mean for the future of norms for women in politics, that matters. With this one tweet, she represents what it means to be a woman in 2018. Yes, women can stand up and run for Congress on unique, progressive platforms and be comfortable and relatable enough to share their favorite lipstick with their social media followers. Or not wear lipstick at all — that’s the whole point: The unspoken rules of running for office are outdated. In politics, the “norm” for women has been to be minimalistic, conservative, and low-key when it comes to their appearance. Afraid to “distract,” many women have stuck with the basics and shied away from being themselves for too long. But Ocasio-Cortez is proving it doesn’t have to be that way. The color red has roots in movements like the Suffragette s, and today, on the lips of a young woman who is making her mark in political history. And tomorrow? The possibilities are endless.